With the release of the *Avengers World *comic series, it is time to place the Avengers in Archonia’s Spotlight. 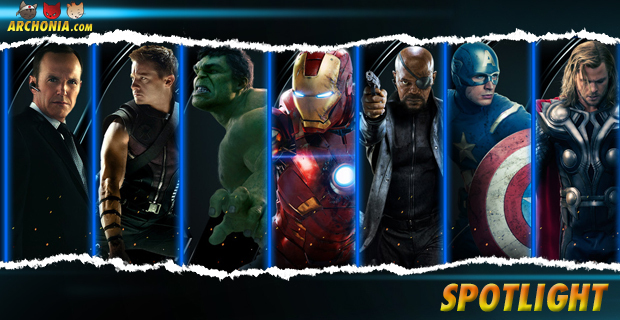 The Avengers is a team of superheroes from the Marvel Universe. They made their debut in ***The Avengers #1 ***(sept. 1963. 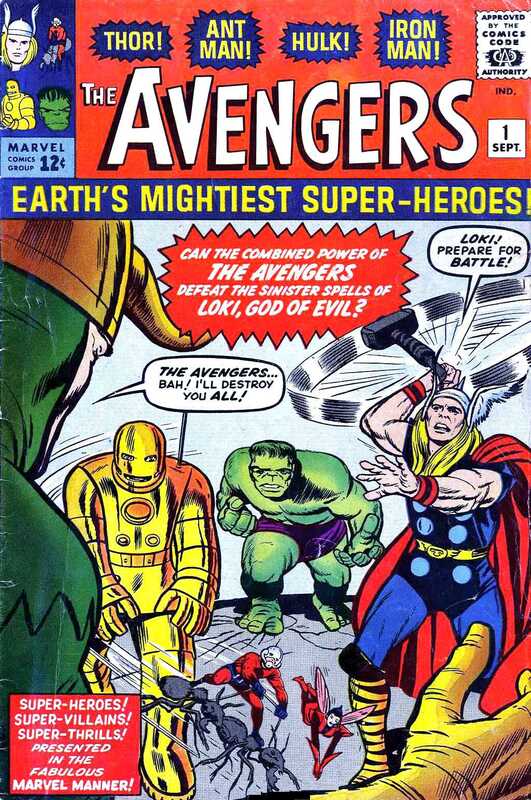 ), created by writer-editor Stan Lee and artist/co-plotter Jack Kirby. They followed the trend of superhero teams after the success of DC Comics Justice League of America. Labelled as “*Earth’s Mightiest Heroes”,*****The Avengers originally consisted of Iron Man, Ant-Man, the Wasp, Thor and the Hulk. In Issue #4 the original Captain America was found trapped in ice and joined the group after they revived him. Though their rotation roster became their hallmark, one theme remained consistent: The Avengers fight the foes no single superhero can withstand. Originally, the series was published bi-monthly until issue #6. After issue #6 it appeared monthly until issue #402, with spin-offs. In 1967 Marvel filed for a trademark for “The Avengers”, which they got in 1970. Between 1996 and 2004, Marvel re-launched the primary Avengers title three times. Contracted by Marvel, outside companies were to produce four titles, the ***Heroes Reborn ***series, including a new volume of *The Avengers. **The Heroes Reborn ***series takes place in an alternate universe, with a revamped history unrelated to the mainstream Marvel Universe. **The Avengers vol. 2, **written by Rob Liefeld and pencilled by Jim Valentino, ran for 1 year spanning 13 issues. 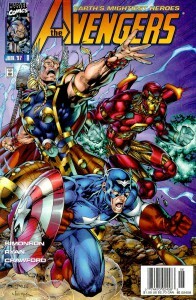 The final issue featured a crossover between the ***Heroes Reborn ***titles, and returned the characters to the main Marvel Universe. ***The Avengers vol. 3 ***re-launched in February 1998 and ran for 84 issues until August 2004. 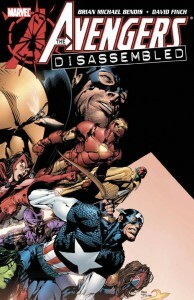 The 500th issue of the original series and ***The Avengers #500-503 ***were changed by Marvel into the one-shot ***Avengers ***finale: ***The Avengers Disassembled ***storyline. However, in January 2005 a new version of the team appeared in the ongoing title **The New Avengers, **followed by **The Mighty Avengers, Avengers:The Initiative, **and ***Dark Avengers. ****Avengers vol. 4 ***debuted in July 2010 and ran until January 2013. One month later vol. 5 was released. In 2012 the live-action feature film Marvel’s The Avengers was released, setting the record for biggest opening debut in North America, with a weekend gross of $207.4million. The live-action movie features an Avengers team consisting of Captain America, the Hulk, Thor, Iron Man, Black Widow and Hawkeye. Coinciding with the live-action movie, several games on different platforms were released. Currently, the second live-action movie, **Avengers: Age of Ultron, **is in pre-production and will hit cinemas worldwide on May 1st, 2015.